BrightSign was selected by CNBC to complete an integral component of its recent studio overhaul. The global leader in business news recently undertook a project to increase the flexibility of content delivery to screens immediately behind the news desk, and BrightSign figured prominently in the solution that was installed in late 2013. 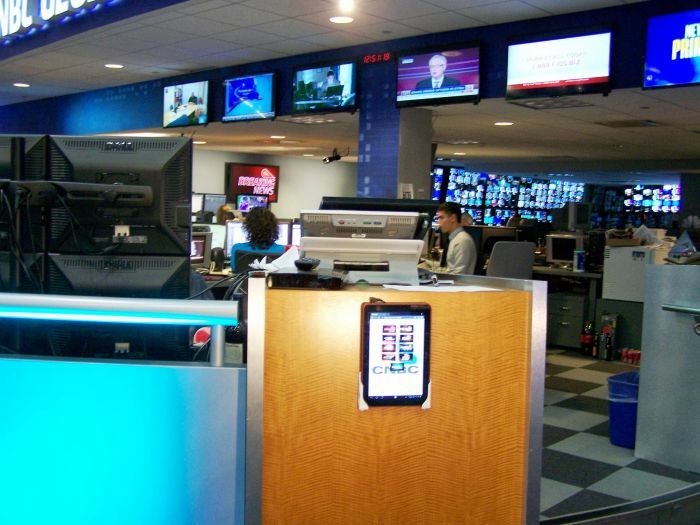 The monitors located behind the anchor desks at CNBC were underutilized, typically relegated to looping background content that wasn’t nearly as timely as the network’s real-time news programming. BrightSign developed a custom web page for CNBC to fully utilize these background monitors by offering greater control of the content being fed to the monitors, and giving staff the ability to switch content sources in real time to better reflect breaking news as it develops.